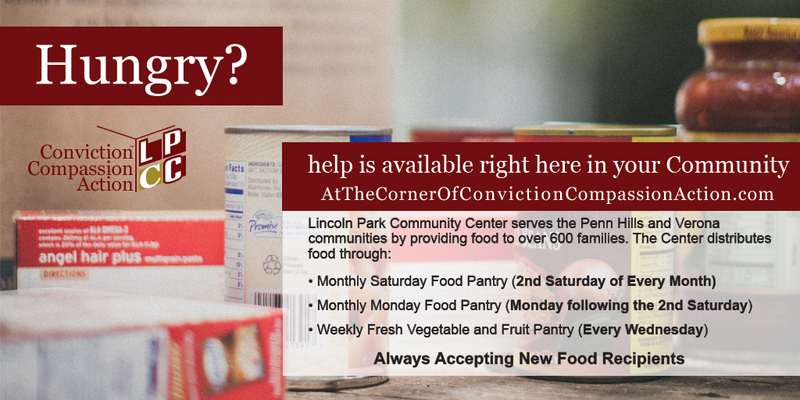 Lincoln Park Community Center serves the Penn Hills and Verona communities by providing food to over 600 families. The Center hosts two monthly dry goods food pantries and a weekly fresh vegetable and fruit pantry. 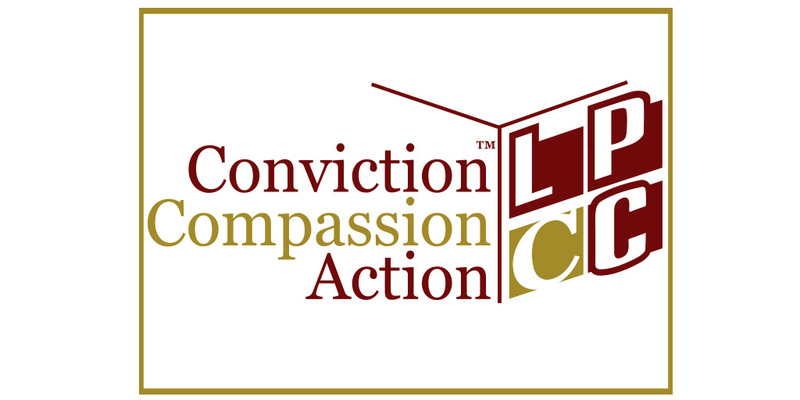 LPCC also provides food for the pantry located at Penn Arbors Senior Housing Center as well as emergency food boxes that are distributed both through LPCC and other organizations. Are you a Senior looking for some assistance? 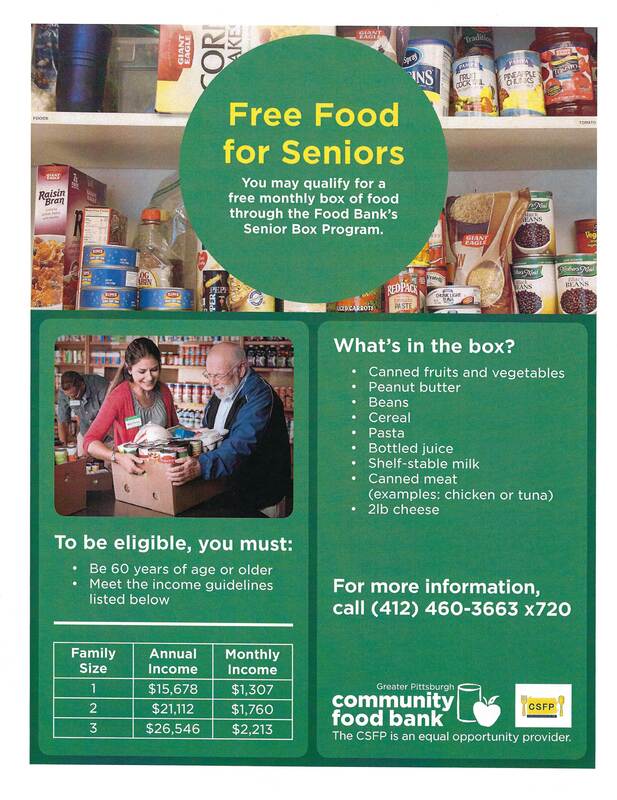 Click HERE to learn more about our “Senior’s Box” Program.